Patients with focal epilepsy that does not respond to medications badly need alternative treatments. In a first-in-humans pilot study, researchers at the University of Alabama at Birmingham have identified a sentinel area of the brain that may give an early warning before clinical seizure manifestations appear. They have also validated an algorithm that can automatically detect that early warning. These two findings offer the possibility of squelching a focal epilepsy seizure—before the patient feels any symptoms—through neurostimulation of the sentinel area of the brain. This is somewhat akin to the way an implantable defibrillator in the heart can staunch heart arrhythmias before they injure the heart. In the pilot study, three epilepsy patients undergoing brain surgery to map the source of their focal epilepsy seizures also gave consent to add an investigational aspect to their planned surgeries. As neurosurgeons inserted long, thin, needle-like electrodes into the brain to map the location of the electrical storm that initiates an epileptic seizure, they also carefully positioned the electrodes to add one more task—simultaneously record the electrical activity at the anterior nucleus of the thalamus. The thalamus is a structure sitting deep in the brain that is well connected with other parts of the brain. The thalamus controls sleep and wakefulness, so it often is called the "pacemaker" of the brain. Importantly, preclinical studies have shown that focal sources of seizures in the cortex can recruit other parts of the brain to help generate a seizure. One of these recruited areas is the anterior thalamic nucleus. 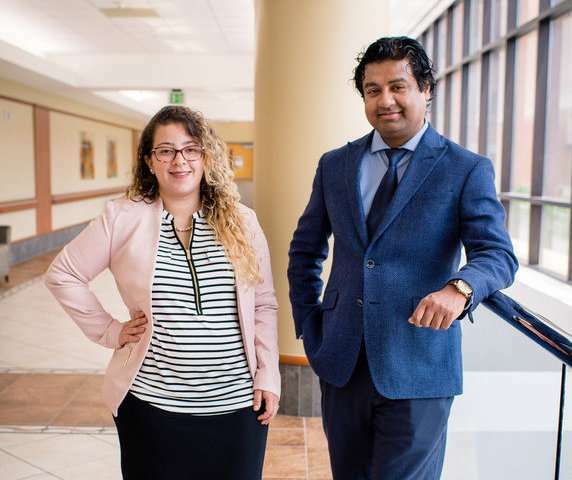 The UAB team led by Sandipan Pati, M.D., assistant professor of neurology, found that nearly all of the epileptic seizures detected in the three patients—which began in focal areas of the cortex outside of the thalamus—also recruited seizure-like electrical activity in the anterior thalamic nucleus after a very short time lag. Importantly, both of these initial electrical activities appeared before any clinical manifestations of the seizures. The UAB researchers also used electroencelphalography, or EEG, brain recordings from the patients to develop and validate an algorithm that was able to automatically detect initiation of that seizure-like electrical activity in the anterior thalamic nucleus. "This exciting finding opens up an avenue to develop brain stimulation therapy that can alter activities in the cortex by stimulating the thalamus in response to a seizure," Pati said. "Neurostimulation of the thalamus, instead of the cortex, would avoid interference with cognition, in particular, memory." "In epilepsy, different aspects of memory go down," Pati explained. "Particularly long-term memory, like remembering names, or remembering events. The common cause is that epilepsy affects the hippocampus, the structure that is the brain's memory box." Pati said these first three patients were a feasibility study, and none of the patients had complications from their surgeries. The UAB team is now extending the study to another dozen patients to confirm the findings. "Hopefully, after the bigger group is done, we can consider stimulating the thalamus," Pati said. That next step would have the goals of improved control of seizures and improved cognition, vigilance and memory for patients. For epilepsy patients where medications have failed, the surgery to map the source of focal seizures is a prelude to two current treatment options—epilepsy surgery to remove part of the brain or continuous, deep-brain stimulation. If the UAB research is successful, deep brain stimulation would be given automatically, only as the seizure initiates, and it would be targeted at the thalamus, where the stimulation might interfere less with memory. The feasibility study, "Automated detection of mesial temporal and temporoperisylvian seizures in the anterior thalamic nucleus," is published in the journal Epilepsy Research.